Rapper-turned-actor, real estate entrepreneur, remodeling expert and DIY Network television host Rob Van Winkle (Vanilla Ice), Sunny 107.9’s Deena Lang and more than 200 City, chamber, nonprofit and business leaders were on-hand as Capitol Lighting flipped the switch on an illuminating grand opening of its new Wellington Showroom. The new lighting destination – featuring high quality traditional to transitional and mid-century to modern design indoor and landscape lighting fixtures – broadens Capitol Lighting’s Florida presence that includes locations in Palm Beach Gardens, Stuart and its state flagship gallery in Boca Raton. Committed to enhancing the communities in which each of its eight showroom serve, Capitol Lighting began partnering in 2011 with Habitat for Humanity and HGTV star Rob Van Winkle to launch its “Making Lives Brighter” Campaign. Through this initiative, Capitol Lighting collects and donates fixtures for resale at Habitat for Humanity Restores in New Jersey and South Florida. Held as part of Capitol’s commemorative 90th anniversary year programming, the grand opening event kicked off a series of festivities that has included 90th anniversary receptions and “Making Lives Brighter” Community Awards presentations at Capitol Lighting showrooms in New Jersey and Florida, a national and in-store “home lighting makeover” sweepstakes running through November, designer council events, a grand re-opening of a showroom in New Jersey and the construction and the dedication of a new home for Habitat For Humanity of South Palm Beach County. In addition to producing two online video series, including five accredited CEU webinars to serve design professionals countrywide, Capitol has also launched an online “news to use” video series produced for consumers that showcases the latest lighting industry trends and innovations, lighting tips and ‘how to’ demos. 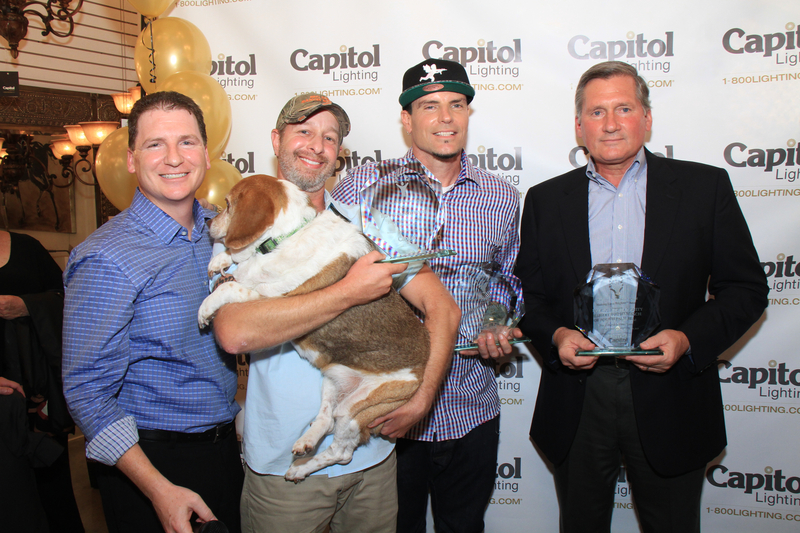 Capitol Lighting’s family retailing tradition spans five generations of Lebersfeld ownership and operation. From a small shop on Prince Street in Newark, N.J. opened by Austria-Hungary immigrants Ethel and Max Lebersfeld in 1924 as homes were being converted from gas lighting to electric, the respected lighting authority ‘fixture’ and award-winning industry leader now features more than 85,174 square feet of illuminating storefront showroom space in eight cities and a worldwide 1-800lighting.com website. Generating more than $40 million in annual revenue, Capitol Lighting features a diverse selection of 300 indoor and landscape design lines in 40 lighting categories with 500,000 products available online; employs 170 (ranging in age from 20 to 101); serves more than 12,000 PRO designer members and donates more than $170,000 annually to community nonprofits. Located at 2863 State Road 7, Wellington, FL 33414 (next to the new Trader Joe’s), the showroom is open Monday through Saturday from 10 am to 6 pm and Sunday from 12 Noon to 5 pm. For more information, call (561) 296-7700 or visit 1-800LIGHTING.com.